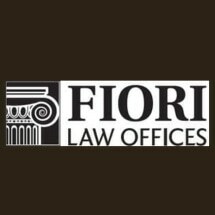 At Fiori Law Office, Inc, we will protect your rights and values during uneasy times when you may be faced with making difficult legal decisions that affect you and your family. We value our clients' trust and confidence placed upon us while we are committed to providing personal service to each client. Our goal is to act as counselor & protector for our clients. The success of our firm may be attributed to our highly skilled staff and abundance of legal experience.